We are delighted to announce that this year sees some changes coming to the Payroll Giving Quality Mark Awards which will please many and make these prestigious “Marks” an even bigger and better driving force for employers to maximise the number of their employees who give. 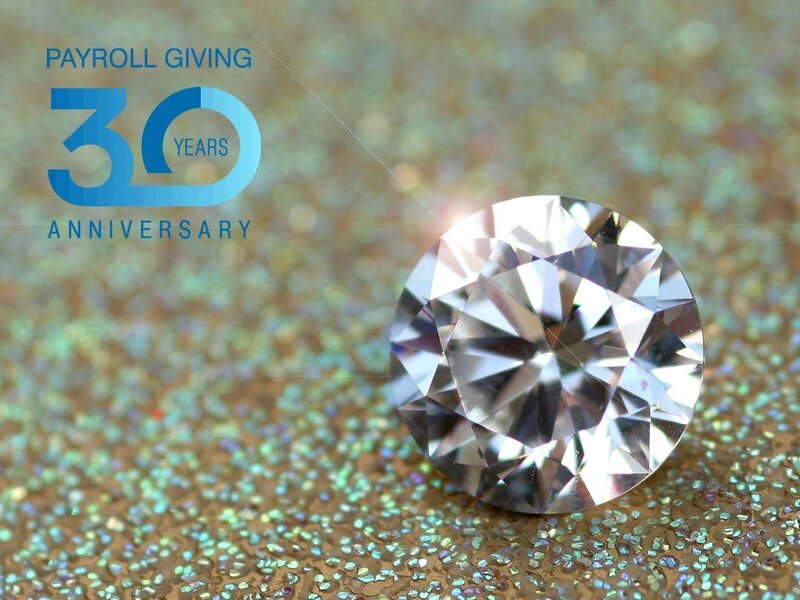 Payroll Giving turned 30 in April, so to celebrate this we are launching a Diamond Payroll Giving Quality Mark Award, available from 2018, to all those companies who have 30% or more employees giving from their pay. The award is truly something to strive for and those achieving it will be the first to proudly display the new Diamond logo – a number of companies are not far off already! We have also decided to simplify the criteria around the other Quality Mark awards, so hopefully even more employers will be putting themselves forward for recognition and actively driving the uptake of Payroll Giving within their company.